Here’s a glimpse of the wonderful ways you can use Cuisenaire Rods to enhance comprehension of number concepts while fostering creativity. 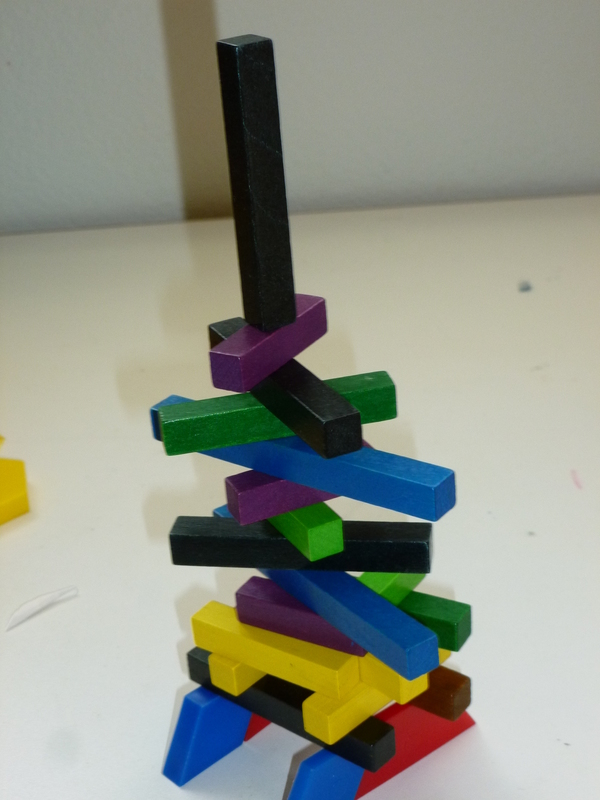 There is just no end to what you can do with the rods across the grade levels (up to the age kids are no longer enthralled by colorful miniblocks). Sorting, counting, crunching all the operations, geometry, odds and evens conception, patterning, money reinforcement. Today Tennyson rehearsed (precise) counting past 35, while exercising visuospatial skills and creativity. 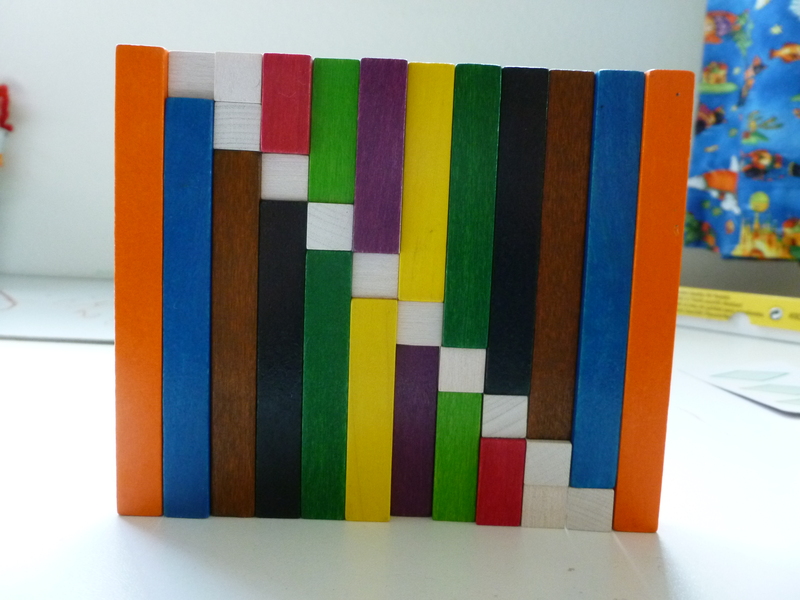 After exploring linear designs with the rods when he first got them (say, with different rods lined up like a train), he started going multidimensional. So we “built the number 36” in all directions (horizontally, vertically and up). Note: If you’re viewing from your phone, the photos may reformat. 1. 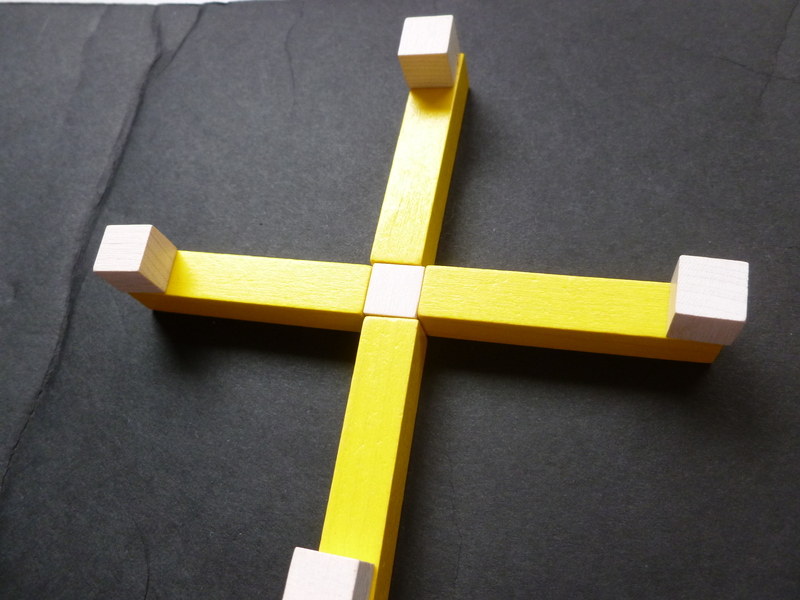 After establishing that a yellow stick equals five ones (the white center cube being a unit of one as you can see in the first photo), we first practiced counting by 5s. Rather than take the time to write out 5, 10, 15, 20 to help him keep track of the sequence, I grabbed some clothespins already marked so (from other math activities) right off the table. 2. Counting the cube in the center, we get 21. 4. 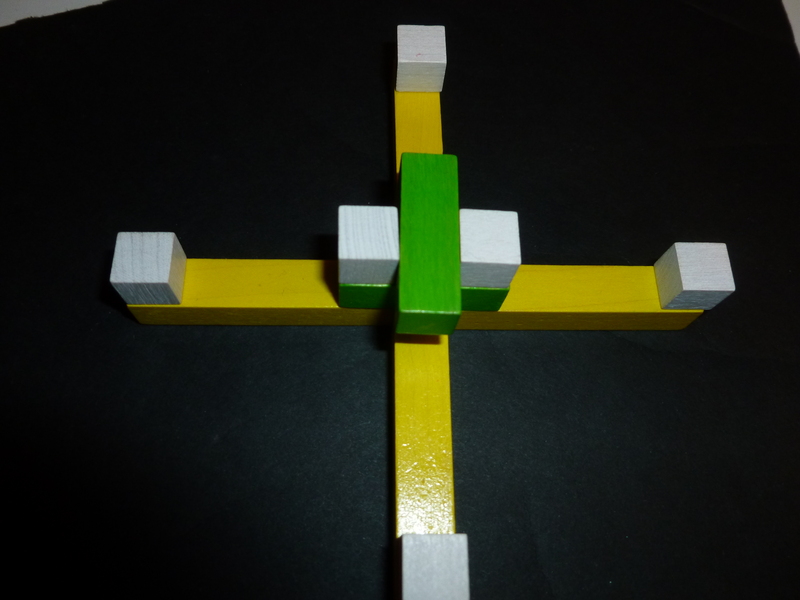 My little student saw the green rod = 3 ones. So he laid it down, counting 28. 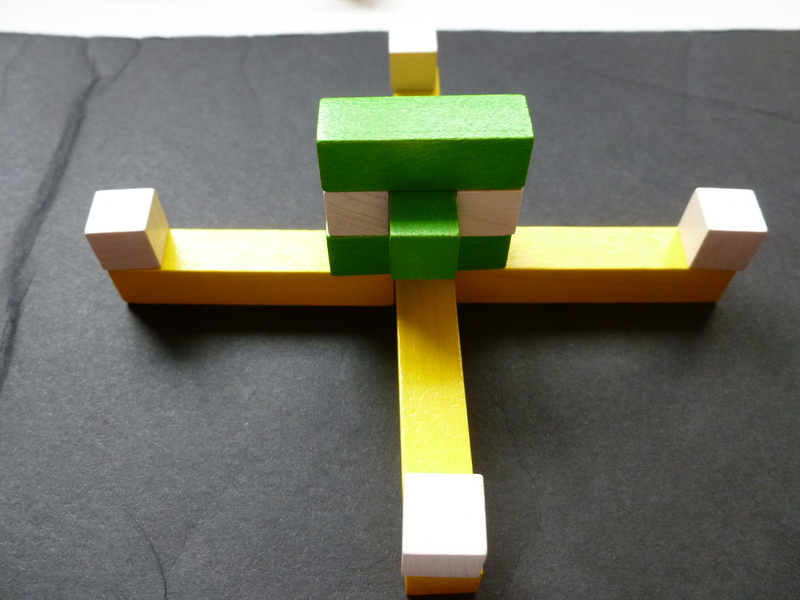 Add two white cubes to the green, and you get 30 (see next photo). count well beyond 40, but a firm concrete grasp of what things beyond 20 can look can come alive this way. I procured the rods from https://www.rainbowresource.com/. The company provides great customer service and some of the best prices online. I made my first purchase after comparing RR with about ten other merchants. The company beats Amazon’s prices on a lot of products. On another day, Tennyson arranged the rods systematically. We discussed symmetry and examined number sequence. It all started from free play and experimentation with size and color (as with the last photo from a different day). 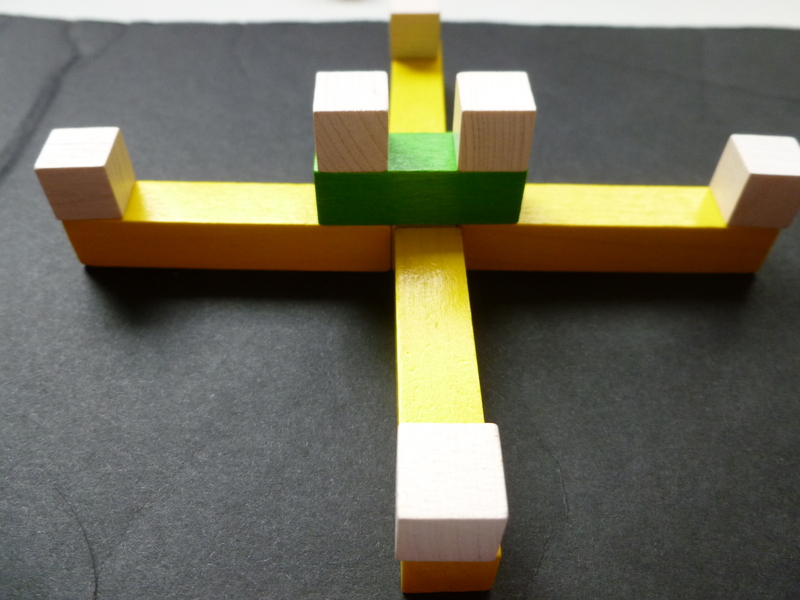 Kids will also understand odd vs. even with the help of the red that represents two units (that is, fits two white cubes). 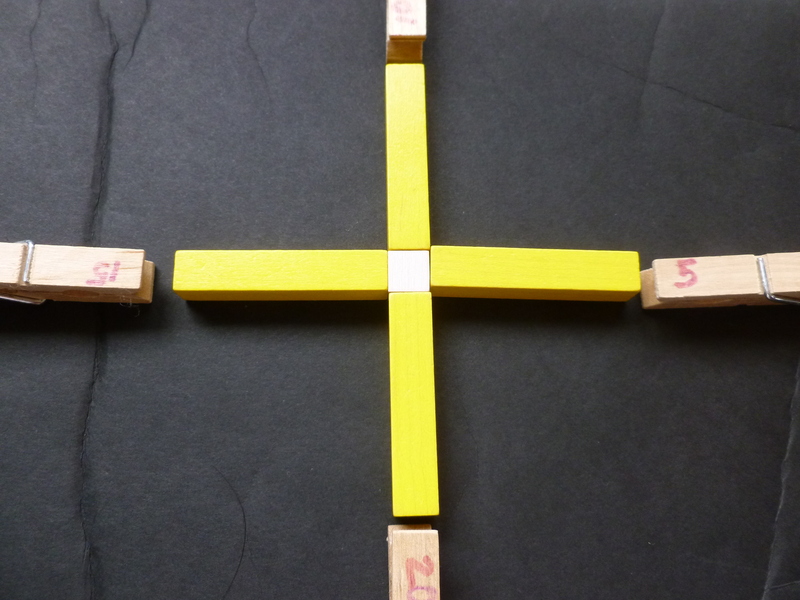 This entry was posted in Learning and tagged Academics, Children, Cognitive, Creativity, Education, Homeschool, Learning, Manipulatives, Math, Numbers. Bookmark the permalink.